Could running C.J. Anderson become one of the biggest busts in 2015 Fantasy Football leagues? If history and circumstances can teach us anything, than the answer is yes. I’m not going to base any decision revolving around Anderson on a lone statement from Adam Gase. But, this does give me more fuel as viewing Anderson as a risky investment in Fantasy Football drafts. Below, I will highlight my reasons for concern. According to FantasyFootballCalculator.com, Anderson’s current ADP marks him as an early pick in Round 2. Over the past month, the 24-year old running back has maintained his position as either the third or fourth pick in Round 2 in standard scoring leagues. When you draft Anderson that early, you need to look at the opportunity costs of players you will miss out on. For example, Calvin Johnson, Julio Jones and Jordy Nelson are all generally available with the fourth pick in Round 2. For me personally, I would much rather draft Johnson or Nelson over Anderson. In 2013, Trent Richardson was generally being drafted as the eighth pick in Round 1 after his big rookie season in 2012. Johnson was generally selected as the ninth pick in 2013 Fantasy Football drafts, just one pick after Richardson. Do you know what happened? Richardson finished the season with 563 rushing yards and four total touchdowns. Johnson, on the other hand, finished with 1,492 receiving yards, seven games of 100 or more receiving yards and 12 touchdowns. If we look at Steven Jackson, generally the third picks in most 2013 drafts, we find similar results. Jackson finished the season with 542 rushing yards for seven total touchdowns. Who else could you have drafted at that same spot? A.J. Green and Dez Bryant were still available. Green finished his 2013 season with 1,426 receiving yards and 11 touchdowns, while Bryant totaled 1,233 receiving yards and 13 touchdowns. If you’ve seen my previous work, you’ll know I’m a fan of the Zero Running Back Strategy because it helps to maximize the value of your early-round picks by utilizing consistent players. The running back position by nature is very inconsistent, and you don’t want to build your team around risky investments. If you’re trying to scout out players who offer consistent results, Bob Lung of FantasyFootball Consistency and fellow So-Called Fantasy Experts, is the guy you want to seek out. Make sure to check out his Consistently Consistent series for running backs and wide receivers for the early parts of your draft, and you can also look for consistency answers on quarterbacks and tight ends. With only one year of work to judge from, it’s hard to justify Anderson’s ADP. New coach Gary Kubiak likes to run the ball, but most people are familiar with Arian Foster‘s numbers under Kubiak. Since he was only the offensive coordinator for one year in Baltimore, what did the rushing totals look like for Baltimore’s backs in 2014? 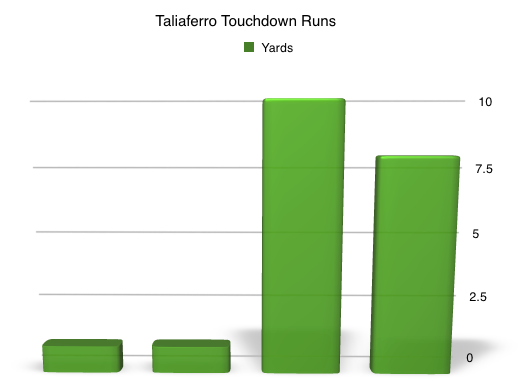 Looking at the numbers, Pierce and Taliaferro accounted for 658 rushing yards. Granted, Forsett needed Pierce and Taliaferro involved in the rushing attack in order to stay healthy and help with the workload, but 658 rushing yards is a big chunk of work. 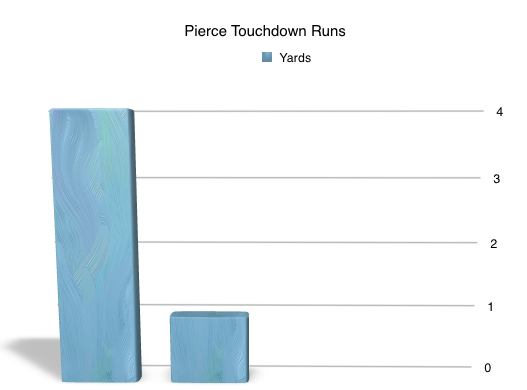 Also, Pierce and Taliaferro combined for six touchdowns. In standard scoring leads, that’s 36 lost points for Forsett. In terms of competition, Montee Ball may have been disappointing in the past two years, but he hasn’t completely disappeared. While disappointing, I don’t believe the Broncos are going to throw in the tall on their second-round pick in the 2013 NFL Draft. He isn’t scheduled to be a free agent until 2017, so I think the Broncos want to see what they can get out of him in the next few years. He isn’t feature back, but Ronnie Hillman proved his value last season as a change-of-pace back ,and contributed 573 yards and four total touchdowns to Denver’s offense in 2014. Anderson could very well rush for over 1,000 yards with the right workload, but his touchdown production scares me with Kubiak. Touchdowns are sporadic as it is, so it’s obviously difficult to predict how and when a team will score. A total of three touchdowns from Taliaferro and Pierce, however, came from the 1-yard line. This is important to note because it means that Forsett was not used for three 1-yard touchdown plays. I would have to go back and review a play-by-play recap to determine if Forsett attempted the same plays and was stuffed, or he if wasn’t involved in the series at all, but I find that interesting to note. The story is worth noting, but how much did conditioning really change Anderson’s production? Here were his total touches from Week 12 to Week 17. Anderson handled a very big workload, so I think the sense that he started to fall apart near the end of the season may not exactly be true. He may not have been in enough shape to handle 143 touches in five weeks, but just because he couldn’t sustain as large of workload as DeMarco Murray does not mean that he had a huge issue with conditioning. I know it’s his job to run the football, but any running back with that type of workload will eventually wear down and is a prime candidate for injury. I think a far better indicator of how successful Anderson can be in 2015 Fantasy Football leagues is his blocking ability. Ball lost a major role in the offense in 2013 because reports stated he had issues with blocking, and protecting Peyton Manning is the most important job a player can have in Denver. Knowshon Moreno was able to prove that he could keep Manning from hitting the ground, and he overtook Ball as the starting running back. Pay special attention to any reports you see coming out of Denver that even mention the word blocking. So when it comes to his conditioning, I’m not that worried. When you add in all the other factors, however, I think Anderson is too risky as a second-round pick. Again, I’m a much bigger fan of drafting wide receivers in the early rounds, and you can check out my ebook The Zero Running Back Strategy, which shows you how to limit your risk in your 2015 Fantasy Football draft. Make sure to connect with me on Twitter, and like the Your Fantasy Football Coach Facebook page to ask the entire staff any questions you may have for your 2015 Fantasy Football leagues. I’m not sure that I fully understand the zeroRB stratagy in terms of overall roster building. I was in favor of ditching the RB – RB stratagy years ago, but to ignore the position in the first two rounds is to attach your wagon to a third tier RB who is more likely to underperform likewise WR’s in the same spot. The strategy can be confusing, but it essentially helps to eliminate risk in Rounds 1 and 2. You want your first two picks to be the center of your team and provide you with the most value. After doing some research into this strategy, I found this great article by Sean Berenbaum of Gridiron Experts. He stated the following: “Top-6 wide receivers drafted in the last five years have returned WR1 value (top-12 at the position) 22/30 times, a 73% success rate that is much higher than the 53% rate of running backs”. So if you have an early pick, like 1-5, you wouldn’t want to draft Odell Beckham Jr. over Marshawn Lynch or Eddie Lacy. When you get to the back part of the first round, however, you have some riskier moves. I drafted Arian Foster in Round 4 last season and thought he was a great value because fantasy owners were scared away from him, but I don’t want to pay a Round 1 pick on him this year. He’s great when he is on the field but I think with his age and injury history he is a risky investment in the first round. I also don’t want to feel forced in drafting Anderson, Jeremy Hill or Mark Ingram in Round 2 just because they are perceived the best backs on the board. In one of my 2013 leagues C.J. Spiller was the 5th running back off of the board as the seventh-overall pick. If that individual had drafted Calvin Johnson instead, Johnson outscored Spiller by 103 points. The sixth running back selected and the ninth-overall pick in that league was Trent Richardson and selecting A.J. Green at that spot instead would have netted 104 more points. So basically, it provides a safer alternative in the later part of your draft because you want your top picks to be the focal point of your weekly production. I do agree that waiting to land an RB3 as a starter is a scary proposition, but that is why playing the waiver wire is so important and identifying players who are undervalued is critical.While everyone else is taking late fliers on wide receivers, you can take running backs in the later rounds who have a high ceiling. Reggie Bush would be an awful pick in Round 3, but he doesn’t hurt you if you draft him in Round 8 and he turns out to be a bust. You can grab serviceable guys like Shane Vereen and Chris Ivory and take a few chances on some rookie backs. You really have to be active with this strategy and play the waiver wire hard for backs, but it really pays off. It can be a tough strategy to use though, as you have to watch running backs fly off the board. It really depends on your risk tolerance and how active you are on waivers and your identification of potential sleepers and undervalued players. Thanks for checking out the article and if you have any other questions feel free to shoot me a message.